Richard Moorhead, Steven Vaughan, and Cristina Godinho, In-House Lawyers’ Ethics: Institutional Logics, Legal Risk and the Tournament of Influence (2018). For legal ethics scholars, in-house lawyers are an irresistible and enduring subject of study. As lawyers who derive their living solely from one client and who are embedded in the culture and incentive structures internal to that client, in-house lawyers bring several “classic” legal ethics concerns into sharp focus: What does lawyer independence require? How should lawyers balance client and public interests? When should a lawyer say “no” to a client? There is also, of course, the fact that in-house lawyers have been the subject of multiple front-page scandals in recent decades. Although the query “where were the lawyers?” was first used, as I understand it, in the 1980s in relation to outside counsel in the U.S. savings and loan scandal,1 the question is being increasingly trained on in-house lawyers, who have risen significantly in number and status. With In-House Lawyers’ Ethics, Moorhead, Vaughan, and Godinho add their own deft, distinct, and deep contribution to the literature on in-house lawyers. At the centre of their book is ambitious new empirical research on the role of in-house lawyers, drawing on interviews with 67 in-house lawyers and compliance personnel and surveys of 400 in-house lawyers. To be sure, thoughtful empirical research on in-house lawyers has been conducted by others before.2 However, Moorhead, Vaughan, and Godinho break fresh ground with their focus on legal risk management and their use of quantitative methods to explore concepts previously examined mostly in qualitative terms. The topics covered are expansive, ranging from a discussion of the interviewees’ perception of how in-house counsel practice has changed over time, to how risk is conceptualized in the organizations in which in-house counsel work, to an assessment of the impact of professional codes of conduct on in-house lawyer behaviour. The sheer density of the book precludes a tidy review of everything it has to offer. The insight to page ratio is very high. One aspect of the book worth highlighting is the work that In-House Lawyers’ Ethics does to add nuance to ideas that have long been percolating. For example, the conventional treatment of lawyer independence tends to approach this concept as static and binary—as a quality that a lawyer or a set of lawyers either has or lacks.3 The authors here, however, draw on their empirical findings to offer a much more dynamic conceptual understanding of independence in the context of in-house lawyering. This richer view of independence in the context of in-house lawyering is unlikely to shock either the lawyers who work as in-house counsel or scholars who study them. Nonetheless, the detail in which Moorhead, Vaughan, and Godinho lay out this picture and the evidence they marshal in support of it are very important contributions to the literature. Their work adds a valuable degree of evidence-based specification to describing the realities of in-house lawyering which might otherwise be bluntly or casually explained. This specificity, in turn, gives the authors analytic leverage to interrogate important questions relating to the context in which in-house lawyers work. Issues like “how widely or narrowly legal advice is framed; what is done when the law is uncertain; [and] how proactively in-house lawyers respond to risk” are thoughtfully and empirically explored. This contextual focus also provides the basis for the authors’ exploration of promising avenues of intervention (like, for example, discouraging the narrow framing of legal tasks in a manner that “shuts out ethical considerations”). A second noteworthy contribution is the authors’ use of quantitative methods to unpack role identities previously qualitatively ascribed to in-house counsel. To this end, the authors isolate five role orientations—commercial, ethical, independence, neutral advisor, and exploiting uncertainty—and examine not only the degree to which such orientations accord with how in-house lawyers conceive of their role but also how these orientations relate to lawyers’ inclination to act ethically. To arrive at these five role orientations, the authors used a sophisticated methodology. For the purposes of this Jot, it is perhaps helpful to crudely summarize that the five role orientations were derived from survey data that involved participants’ responses to certain attitudinal statements about the in-house lawyer role and that “each of the orientations indicates a group of questions which [the] respondents tended to answer in similar ways.” So, for example, the commercial orientation identified related to statements such as “the commercial success of my organisation is important to me” and “it is important for a legal adviser to add value to the business.” The ethical orientation related to statements such as “my advice goes beyond legal considerations to assess whether something is the right thing ethically to do,” and “where the law is uncertain, I take a lead on what the right thing to do is.” And the exploiting uncertainty orientation related to statements such as “loopholes in the law should be identified that benefit the business” and “where the law is uncertain, I help the business benefit from that uncertainty”. Having isolated these five role orientations, the authors then embark on “evaluat[ing] these orientations normatively and link[ing] them to other dimensions of in-house practice: professional orientations, team orientations, relationships with the organisation, and ethical pressure.” For example, the authors note an association between thinking of exploitation of uncertainty as part of the in-house role and a weaker ethical inclination (as measured using established tools for measuring ethicality which focus on moral attentiveness and moral disengagement). In addition to studying the role orientations, the authors also engage in a quantitative analysis of the impact of the environment in which the in-house lawyer works and their ethical inclination. For example, a link was established between a stronger ethical inclination and stronger ethical infrastructure (as measured both through the presence of formal measures like ethics training and written guidance as well as the presence of informal conversations about conduct). Through this detailed, and mixed methods approach, we hope to offer fresh insights on the in-house lawyer. Whilst it provides evidence relevant to the traditional question of whether in-house lawyers really are ‘professionals’ or mere employees, we think the more important contribution is to inform debate on how to make in-house lawyers more ethical. Improvement, not judgement, is the ultimate aim here. So much more could be said about the content of In-House Lawyers’ Ethics—it is a book full of detailed data and big ideas. The above summary simply highlights two areas of its contribution to the literature. For those with an interest in in-house lawyering, the entire book is well worth a read and, no doubt, readers will find other and additional aspects of the book to be engaging and informative. Before ending this Jot, however, I would be remiss if I did not note that, for a book so deeply steeped in methods, data, and theory, there is vivid colour and sometimes even moments of playfulness delightfully sprinkled throughout. The skillful deployment of interviewee quotations and the use of memorable turns of phrases by the authors made the book a delight to read in addition to it being so informative. In-House Lawyers’ Ethics: Buy it, read it, cite it! For further discussion of this scandal, see, for example, Monroe Freedman, Kaye Scholer-Overzealous or Overblown, 35 S. Tex. L. Rev. 577 (1994). Examples of this research include Robert L. Nelson & Laura Beth Nielsen, Cops, Counsel, and Entrepreneurs: Constructing the Role of Inside Counsel in Large Corporations, 34 Law & Soc’y Rev. 457 (2000); Tanina Rostain, General Counsel in the Age of Compliance: Preliminary Findings and New Research Questions, 21 Geo. J. Legal Ethics 465 (2008); Suzanne Le Mire & Christine Parker, Keeping It In-House: Ethics in the Relationship Between Large Law Firm Lawyers and Their Corporate Clients Through the Eyes of In-House Counsel, 11 Legal Ethics 201 (2008); and Elizabeth Chambliss & Dana Remus, Nothing Could Be Finer? : The Role of Agency General Counsel in North and South Carolina, 84 Fordham L. Rev. 2039 (2016). A stark example of this “conventional treatment” can be found in the European Court of Justice case of Akzo Nobel Chems. Ltd. v. European Comm’n, 2010 E.C.R. 00000, EUR-Lex CELEX 62007CJ055 (Sept. 14, 2010), wherein the court found that in-house counsel categorically lacked sufficient independence from their employers such that privilege which would otherwise attach to communications in the lawyer-client relationship should not apply to communications between a company and its in-house lawyers in the context of competition law investigations conducted by the European Commission. 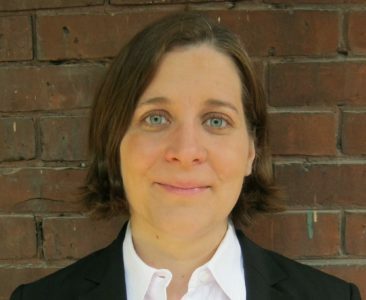 Cite as: Amy Salyzyn, Heroic Work on the Legal Profession’s “Quiet Heroes”, JOTWELL (February 7, 2019) (reviewing Richard Moorhead, Steven Vaughan, and Cristina Godinho, In-House Lawyers’ Ethics: Institutional Logics, Legal Risk and the Tournament of Influence (2018)), https://legalpro.jotwell.com/heroic-work-on-the-legal-professions-quiet-heroes/.